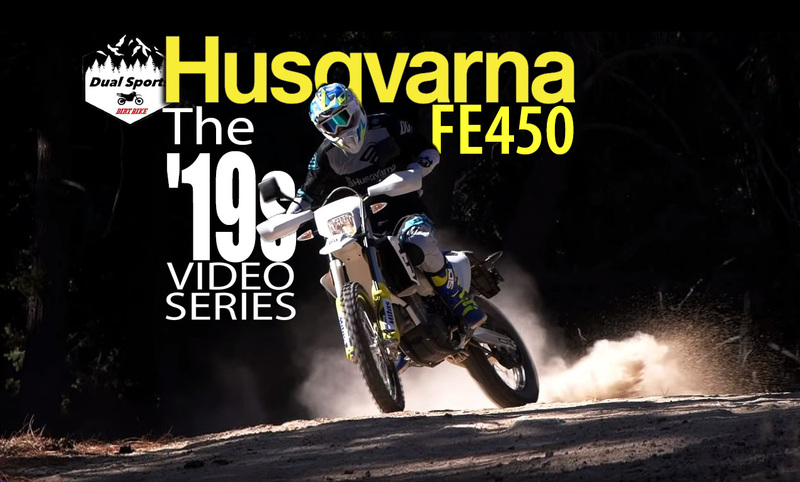 Husqvarna’s FE450 dual-sport bike is the subject of this edition of The ’19s Video Series. In most cases, there’s a KTM version of every bike that Husky produces, but that’s not true here. There is no KTM 450 dual-sport bike in the company’s regular line for 2019. There is a tradition of KTM releasing a 450EXC ISDE Edition later in the year, but it’s not here yet, so the Husqvarna is it. It also differs from the KTM dual-sports because of its linkage suspension and Magura hydraulics (brakes and clutch). The bike is super quiet and meets all the requirements put forth by the DOT, EPA and CARB to be street legal in all 50 states. It is a real dirt bike, though. In this video we take it into the mountains of the San Bernardino National Forest and explore all it has to offer. For more on dual-sport bikes, including information on the 2019 Honda CRF450L, the Beta 430RR-S and the KTM 500EXC, click here.